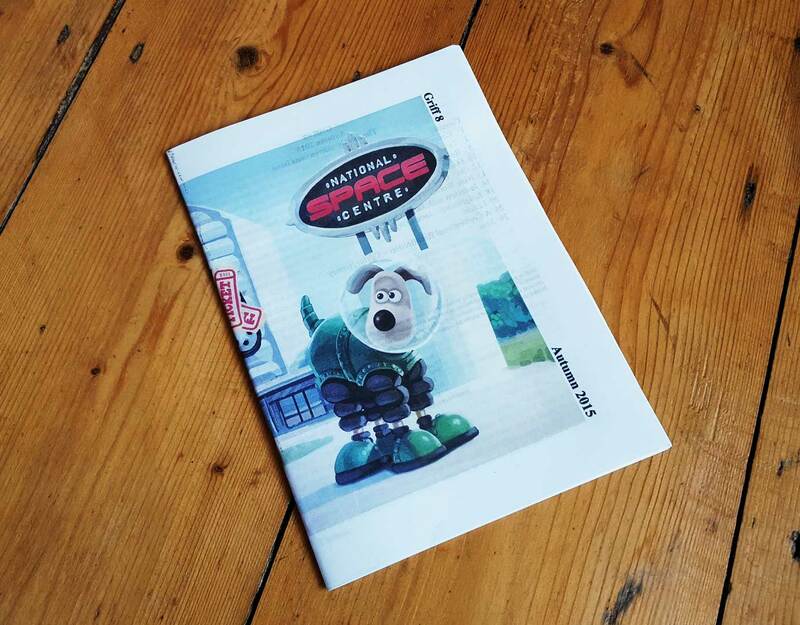 At the end of last summer, Ian Milsted contacted me to ask if I'd be interested in contributing to an issue of an old-style fanzine, Griff, that he was putting together in time for BristolCon. We were both at Loncon 3, the 2014 Worldcon in London; he remembered me comparing it to a previous Worldcon in the UK. That sounded like the perfect ingredients for a fanzine article. And it was out just in time for BristolCon. It's late and dark when we arrive in Brighton, so no seaside sunshine or early start on the beach. Tom and I have driven down from London in a car that's seen a lot of time but is no DeLorean. Even so, this is time travel. It's summer 1987 and we're here for Conspiracy, the World Science Fiction Convention in Brighton. I was here three years earlier for SeaCon, the 1984 Eastercon and Eurocon. In 1984 I only went to Brighton for the day, but some of the highlights of that day are chiselled into memory — Harry Harrison, Bob Shaw, Joe Haldeman, Brian Aldiss, writers whose names graced the fronts of books I'd lost myself in, but who had more depths than even those pages could reveal. I was there because of a pen friend — yup, back when you actually had to use pens and post to communicate — was over from the US. Josh was into SF and had figured out he'd be visiting London around the time of Eastercon, so he'd done his research (without Google...) and had made the suggestion. Two years later, again with Josh, I visited Worldcon '86 in Atlanta. For a teenager from North London, even cocooned within the convention hotels, this visit to the American South was an eye-opener. I wrapped up my gap year with a couple of months travelling around the US, but my travels had been in Yankee territory. Me and a friend of Josh's headed south by van from New Jersey. When I wasn't lying in the back of the van listening to The Hitchhiker's Guide to the Galaxy — "What do you mean you've never listened to it? But you're British!" "I've met Douglas Adams." "But how have you never listened to Hitchhiker's?!" — in van-wall to van-wall stereo, the view from the front seat revealed a shifting cultural landscape you didn't see on TV. Sidewalks were invisibly colour coded, black one side, white the other. Worldcon's name that year, ConFederation, also shows how far we've come — you'd have to be a sad puppy to think that name was appropriate now. I was there for the full five days. There were five of us saving money and shift-sleeping in a room for two, but I used that room for little more than storage and showering. I did the first three days on three hours sleep, giving myself the luxury of seven hours over the final two — a sleeping pattern I could get away with only as an adolescent (or, a few years later, as a new parent). Worldcon was big even back then. It was non-stop sessions, parties, caffeine, bumping into American gods like Frederick Pohl, faux phaser fights in hallways between Klingons and Starfleet (pick a side, go on pick a side...), talking to people you didn't know, making friends that you did actually keep in touch with for a couple of years, even without cyberspace assistance of email and social media. And some of whom I would meet again at Conspiracy in Brighton at the same Metropole hotel I'd visited in 1984. Tom and I were there for the weekend. My sleepless theme from the year before continued, but this time we actually had no room, which meant improvising. The first night ended up back in Tom's car, discovering in the morning that we'd parked on a main street, shoppers going about their Saturday passing by two long-haired con-goers crashed out in the front seats of an old car. The second night I crashed in the all-night movie room. This Worldcon was smaller and less grand than the one in Atlanta, with a 1980s British seaside-town twist. But it still dwarfed 1984 Eastercon. There were writers I'd seen at SeaCon and in Atlanta, there were guests of honour (including Jim Burns), there were up-and-coming writers (a certain Iain Banks, with and without the M, comes to mind), there was Hawkwind (Tom's kind of thing, but thanks I'll pass), there were parties (in the hotel and on the beach) and more. And then I took a break from cons and fandom. Quite a long break. A fairy-tale sleep whose spell was broken in part by Josh (yup, same one, after all these years) and BristolCon. And in good time for Loncon, Worldcon 2014. I went to Loncon for the weekend, but this time sleeping arrangements and the need for sleep and creature comforts had moved on — and accumulated hotel loyalty points helped out. This time my companion was my tweenage son, so I had to do some serious roleplaying — instead of pursuing parties and teenage kicks, I got to play the part of responsible parent. Loncon was in the ExCeL, which we'd last visited for the 2012 Olympics. Although not quite Olympian, the convention was large. We are living in some of the future that people imagined back in the 1980s, with location transparency applying almost as equally to our events as our communications. Panels were packed to the gills, with fire-and-safety regulations trimming back the standing overflow in each room, which meant that I missed a few sessions I wanted to attend, but enjoyed some I might otherwise not have attended. My agenda took in art, politics, conlangs and worldbuilding, as well as doing an open mic reading and some life drawing. I bumped into people I knew both from Bristol and from software development conferences, and struck up the usual random conversations with people I didn't know, including a really great conversation in the queue for Chris Foss's autograph. Chris Foss's imagery is all over my school memories of reading — it would be fair to say that he was the reason I tried an airbrush in art class — so it was great to finally meet him. 2014 and 1987 in many ways could not be more different, balanced on either side of the millennium boundary, one with a foot in adolescence and the other in middle age, one when I had no cares and the other with a clear and personal duty of care. This makes it difficult to compare the two British Worldcons I've attended with any reasonable objectivity. But why bother? In this case there's nothing wrong with unreasonable subjectivity. I enjoyed them both and for quite different reasons. Perhaps the real question is... where might the conventional time machine go next? I write shorts and flashes and drabbles of fiction and articles and books on software development.